DOVER, Del. 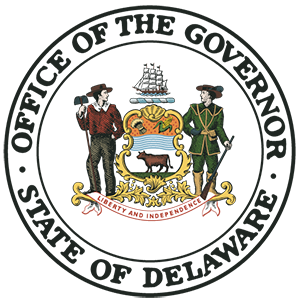 – Governor John Carney on Tuesday joined Representative David Bentz, the Coalition Against Gun Violence and other members of the General Assembly in announcing the introduction of the Beau Biden Gun Violence Prevention Act. The legislation – similar to a bill advanced in 2013 by then-Attorney General Beau Biden – would help limit access to firearms for those who present a danger to themselves or others. Representative Bentz is the prime sponsor of the legislation, which also takes steps to protect due process and ensure that the state does not create barriers to care for those suffering from mental illness. Any person who has been committed to a hospital for treatment of a mental condition. Mentally incompetent to stand trial. Those individuals are currently not prohibited from owning firearms under current law. The legislation announced Tuesday would require health professionals to report to law enforcement anyone they believe presents a danger to themselves or others. Appropriate law enforcement agencies must then investigate – and may seek an order from Superior Court to require individuals to relinquish firearms, if they are found to present a danger. The Court may allow individuals to relinquish firearms to a personal designee. The legislation also allows affected individuals to appeal orders to the Supreme Court, and petition to have their firearms returned.